I love an enamel pin and flair-ing up my denim jackets with reckless abandon. 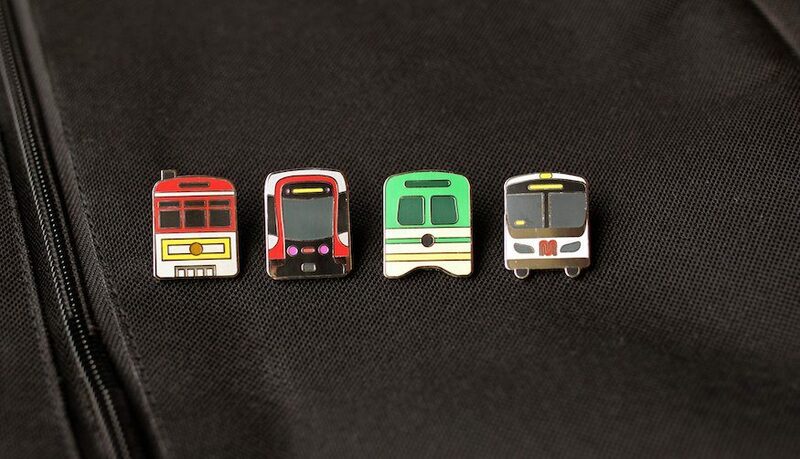 Which is why these enamel pins from Chris Arvin’s online store has me all kinds of transit twitterpated. He’s got cute stickers in the shop, too. Please hold, I’m just getting my wallet out to buy everything. As it turns out, Chris is also the creator of these interactive street car maps. I think he deserves an award for being the transit fan of the month? What are some of your favorite transit gear? Here are some of our past favs. Hey, we have a live show coming up next Saturday, April 6! Maybe you’ll come and sport these fancy new pins? Muni Diaries Live is back at our new home, Rickshaw Stop in Hayes Valley. Get your tickets today! Got important news for your fellow riders? Tag us on Facebook, Instagram, or Twitter with your dispatches. Our email inbox, muni.diaries.sf@gmail.com, is always open, too.